This powerful application is being used by caterers and meal providers. When your school uses our system you can work with any supplier or caterer freeing you up to focus on other important matters in your school. You can even use the system to sell other items for fund raising at your school such as coffee, poinsettias, clothing, chocolates, school supplies, and more. F.U.E.L. catering, this year's winners of the Surrey Board of Trade's New Business of the Year Award, is an all inclusive catering company that specializes in making healthy eating cool. They can be found in over 40 schools and at dozens of community events all over the lower mainland. Their award winning programs offer the opportunity to easily and affordably provide healthy, locally sourced menu items that meet or exceed the new standards for food and beverage sales in BC schools. Our mission is to provide healthy and delicious food for kids, but not kids’ food. We inspire open minds by introducing foods from different cultures. Our footprint is reduced by composting leftovers and using green containers. Additionally, we are committed to giving back and boosting school fundraising. 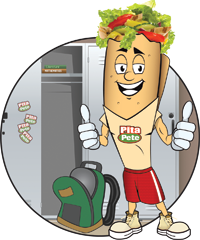 Pita Pit is proud to offer 8 tasty pitas in our school lunch program, each with the choice of 5 toppings, cheese and a choice of two sauces! We're proud to offer a fun and healthy lunch we know your child will love. Our fresh, healthy pita sandwiches are available in a 6-inch size that’s perfect for children. We call it a Petita™. As for nutrition, our Chicken Breast Pita, garnished as shown, has half the calories, a quarter of the fat, and half the sodium of a one-sixth slice of a typical 16-inch veggie pizza, proving that fun food doesn’t have to be junk food. We serve hundreds of schools across the country, and we fit exceptionally well within the new Ontario health guidelines for elementary schools. Contact Andrew at Andrew.scott@franchise.pitapit.com for more information. 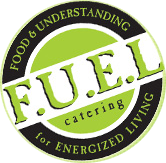 Lunch Lady is the largest and most reliable nut free school lunch company in Canada. Currently, children in more than 1300 schools in four provinces enjoy our provincially, nutritionally approved menu options. With so many choices, students and staff can look forward to something different every time they order. Items like burgers, wraps and pastas are on our menu and you can add a dessert and beverage to complete the meal. We’d love to be part of lunchtime at your school! Elementary School Nutrition Services provides full management and support of your School’s nutrition program. This includes access to on-line ordering for parents, electronic payment and collection of funds, ordering and delivery of products, class distribution lists, and parent documents. We are available to help parents and volunteers by email or by telephone 5 days a week.